While the Russian authorities sum up the results of their large-scale inspections of NGOs, pundits make their guesses as to whether it is possible to reach a compromise on this issue. The large-scale inspections of nongovernmental organizations (NGOs) have puzzled both experts and NGO representatives. While the authorities are preparing to sum up the results of its search for “foreign agents,” political pundits are trying to figure out how the inspections will affect Russia’s human rights record and whether the government and NGOs will be able to come up with a compromise. Russia’s law enforcement authorities have inspected more than 250 nongovernmental organizations in 2013. According to Dmitry Kolbasin, a spokesperson for the human rights association Agora, human rights activists have registered "267 inspections of NGOs from 56 regions of Russia carried out by prosecutors." "Russian NGOs are now receiving warnings and orders from prosecutors about alleged violations of the laws on NGOs, 'foreign agents' and extremism prevention, complaints about the charters and internal business correspondence, unregistered symbols and problems with documents, incorrect protocols of board meetings, and the absence of fire alarm logbooks," Kolbasin told Interfax on April 29. Shortly after the inspections, Russia’s law enforcement officials invited representatives of some Moscow-based NGOs (including Human Rights Watch and Amnesty International) to the prosecutor’s office to question them on May 6, according to the Twitter page of the head of the Agora human rights association, Pavel Chikov. Although Russian officials claim that these inspections are not intended to limit NGO activities and are conducted in accordance with the law, Russian pundits and NGO representatives think otherwise. If the authorities keep tracking “foreign agents” in this manner, NGOs might switch to underground activity, according to Yuri Korgunyuk, who is the co-founder of the Moscow-based think-tank INDEM. The INDEM think-tank, which identified itself as a nongovernmental organization, was established in the 1990s. Since that time, it has been funded by different sources – both domestic and foreign. However, in the middle of the 2000s, it primarily relied on foreign grants. Georgy Chizhov, vice president at the Center for Political Technologies, echoes Korgunyuk’s view. Meanwhile, Korgunyuk is hesitant to predict future scenarios for how Russia’s NGOs will adjust to new legislation and regular inspections. Yet, currently, the INDEM think-tank pins its hopes on different organizations outside Russia, because of the lack of governmental grants. Korgunyuk regards the recent NGO inspections and the NGO law as unconstitutional. 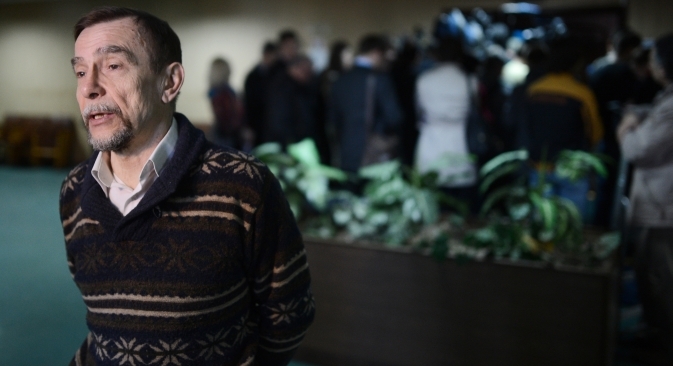 When asked about a compromise between the government and NGOs, Korgunyuk said that it should be based on the Constitution and the rule of law. Chizhov argues that a compromise is possible if NGOs admit that they are “foreign agents” and the definition of “foreign agent” takes on a positive, “innocent” connotation in the Russian language (currently, the phrase is widely understood to mean “spy” in Russian). However, achieving this goal in Russia will be challenging, which leaves the future of NGOs in limbo. According to Chizhov, the worst case scenario is that a number of organizations may be closed, given predictions that the definition of “political activity” may be expanded. For example, tracking down vote fraud during elections, as well as supporting amendments to election law, may be regarded as political activity.